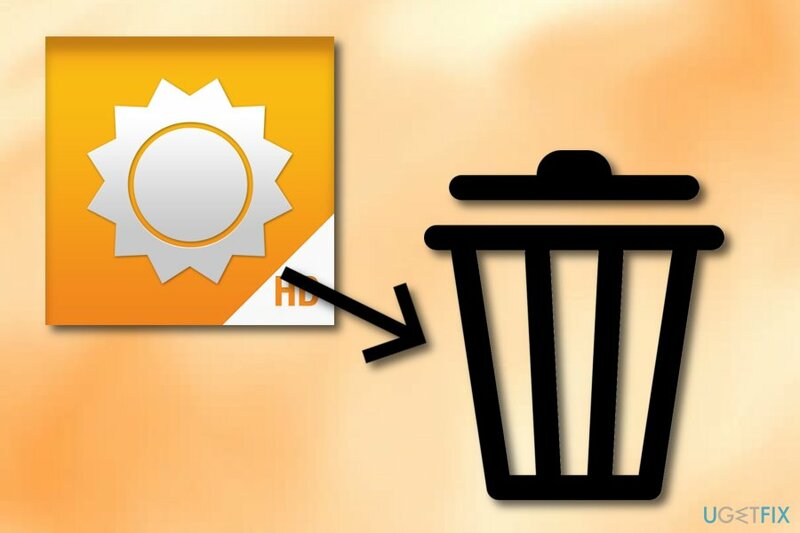 Home »	Uninstall » How to Uninstall AccuWeather? Issue: How to Uninstall AccuWeather? How can I remove AccuWeather from my phone? I am an Android user; however, I lost the trust of the app because of the recent privacy-related issues. AccuWeather is one of the most popular weather applications. It is compatible with iOS, Android, and Windows operating system. The app provides local weather forecast for the day and whole week. Thus, it’s a handy tool when you need to check whether you need to take an umbrella or not. Having minute-by-minute weather forecast is handy. However, some phone users noticed that the app uses lots of battery resources. Thus, they decide to get rid of it in order to have a longer battery life. Some users also question the app’s accuracy and claim that it frequently fails to provide a real forecast. 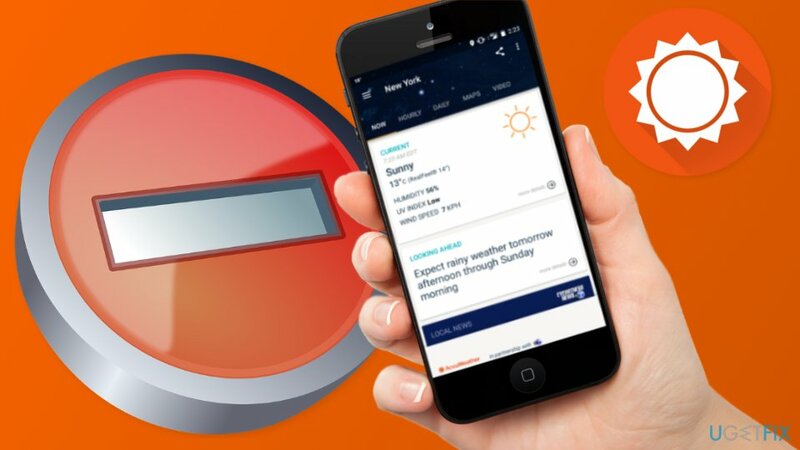 However, the biggest problems with the AccuWeather occurred when the app was spotted sharing users’ data with a mobile advertising platform. Users were not informed about this activity. Besides, the company promised to end this shady activity but did not keep their word. Nevertheless, this privacy-related issue occurred only in the iPhone version of the app; other users are concerned about their privacy as well. However, any suspicious data tracking and selling activities were not noticed in the Android version of the app or Windows Desktop app. Thus, users should not worry about their privacy. Below you will find how to uninstall AccuWeather from the iPhone and Android phones, and Windows operating system if you are not pleased with the company’s behavior or simply want to get rid of the app. Find the app on your iPhone. Press and hold the app icon. When the application starts moving, you will see the X sign in the upper-left corner of the application icon. You might receive a prompt whether you want to delete this app. Confirm deletion. Find the weather app and tap Uninstall. However, Samsung and some other smartphones have AccuWeather pre-installed. Therefore, you won’t be able to delete it that simply. Some third-party apps might help to root your phone and then you will be able to get rid of it. Go to Settings > Applications > Application Manager. Find the app and click on it. Then you should see “Disable” button, thus, click on it. Go to Programs and Features (or Uninstall a program). In the list of programs find Accueather.com Desktop. Click Uninstall button and follow uninstallation guide. ^ iOS. Wikipedia. The free encyclopedia. ^ Ciprian Adrian Rusen. What is a Windows app? How is it different from a desktop app or a program?. Digital Citizen Life. Tech-related info. ^ Android. Techopedia. IT encyclopedia. ^ Margaret Rouse. Smartphone. Search Security. Tech Target. ^ Tim Fisher. 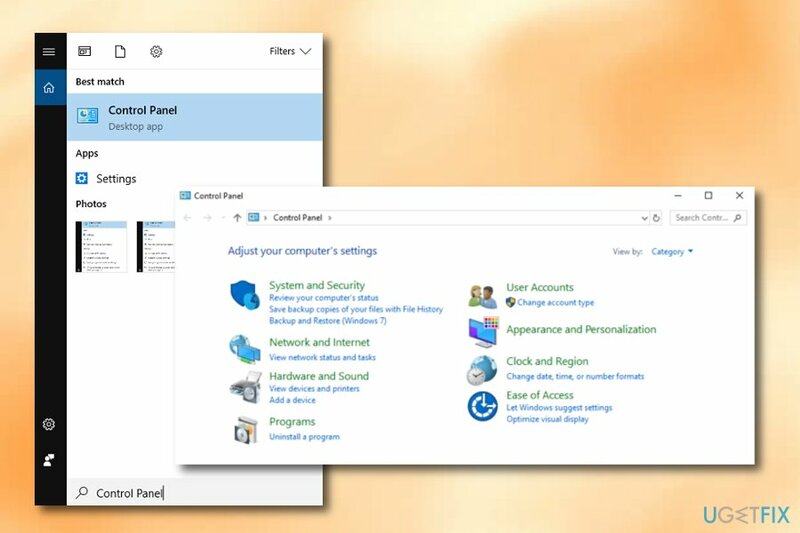 Control Panel in Windows. Lifewire. Practical advice on how to live better with technology.